The LNO curtain will rise on October 5th at 7 p.m. for the world premiere of the new ballet by Juris Karlsons and Aivars Leimanis – “Karlsson Flies Again”. This National Ballet production, based on Astrid Lindgren’s beloved tale, is meant as a gift to audiences young and old, as the new school year begins. This colorful and happy-go-lucky production will take audiences to a world where fantasy and reality are one, an opportunity to once again enjoy the adventures of the one and only Karlsson (who lives on rooftops!). Composer Juris Karlsons (with the highly appropriate surname!) has provided a dynamic and diverse score that will sweep you up like a carousel ride. Choreographer Aivars Leimanis has put his talent for family entertainment to good use here. 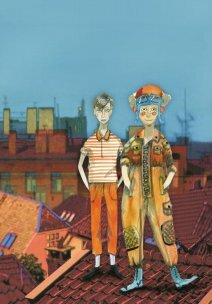 Mārtiņš Vilkārsis has put 1970s Stockholm on the Opera House stage, but Ilze Vītoliņa’s contribution will be a parade of splendid and witty costumes. Andris Pudāns and Aleksandrs Osadčijs will dance the lead role, under the baton of conductor Mārtiņš Ozoliņš. The next performances after opening night are scheduled for October 6 and October 20. Tickets can be purchased at all “Biļešu paradīzes” oulets, via Internet at “www.bilesuparadize.lv”, or LNO box offices. Previous Previous post: His Holiness Patriarch Kyrill and his yacht.